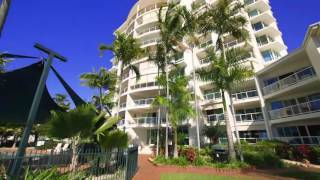 Welcome to Mariners North Holiday Apartments Townsville, where you enjoy guaranteed ocean views from every apartment. As the one and only 'absolute oceanfront accommodation' located anywhere in Townsville, Mariners North Holiday Apartments takes pride of place on The Strand on prestigious Mariners Peninsula - the most exclusive location in the city. Every apartment has the most amazing ocean views from The Strand and Cleveland Bay clear out to picturesque Magnetic Island and beyond. Situated on The Strand - Mariners North Holiday Apartments has everything within easy strolling distance including the Breakwater Ferry Terminal - main departure point for Magnetic Island, Breakwater Marina - base for all charter boats to the Great Barrier Reef, the Central Business District, Palmer Street Dining Precinct, Casino and Entertainment Centre. Every apartment is fully self-contained, with two full sized bathrooms, a spacious open plan living area and a generous private balcony with stunning ocean views. They come complete with air-conditioning, fans, large modern kitchen, fully equipped laundry, Austar television, DVD, security access and secure undercover parking. Venture outside your apartment and enjoy a range of resort style facilities including a saltwater pool, spa and full size tennis court. The executive two bedroom apartments have superior and modern internal furnishings. The apartments have guaranteed ocean views with a private balcony. The apartments have full size kitchens (six plate stove and oven). There is a laundry with washing machine and dryer. Main bedroom has a queen-size bed and own ensuite. Second bedroom has two single beds with a separate bathroom. Ceiling fans and air-conditioning will keep you cool all year round or open the security doors for refreshing sea breezes. The apartments are the largest in Townsville with open plan living areas. Every two bedroom holiday apartment has absolute ocean views. Fully self contained with full cooking and laundry facilities. Main bedroom with queen-sized bed and own ensuite. Second bedroom comes with its own bathroom with bath. Be amazed at the spacious open plan living area and outside balcony/entertaining area. Ceiling fans and air-conditioning will keep you cool all year round. Or open the security doors for refreshing sea breezes. The apartments are very spacious with large open plan living areas and a private balcony. Every three bedroom holiday apartment has ocean views. Fully self contained with full size kitchen (four hot plate stove and oven, microwave and dishwasher) and laundry(washing machine and dryer). Main bedroom with queen-sized bed and own ensuite. Second and third bedrooms have their own bathroom with bath/shower. The bedding configuration for the second and third bedrooms consist of either four singles or a queen with two singles. The living area is spacious with two outside balconies/entertaining areas. Ceiling fans and air-conditioning will keep you cool all year round or open the security doors for refreshing sea breezes. The apartment caters for six people comfortably. Access is by lift and come with two free car parking spaces.